Oh boy. Sometimes you just can’t make this stuff up. In early April 2017, a new subscription-based service known as Disflix was announced. 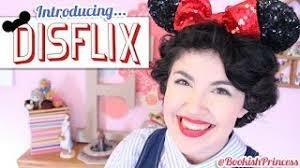 A clever mash-up of Disney and Netflix, which neither company was affiliated with in any form. Which is part of the problem, but I’m getting ahead of myself. Let’s start from the beginning. As many of you are well aware there are hundreds, perhaps thousands, of Disney and theme park fan sites out there. Everyone wants to make content. Everyone wants to be a star and everyone wants to try and make a buck. Nothing wrong with any of that. With a handful of exceptions, the content provided has been 100% free. Nearly everyone makes ad revenue via Google ads, sponsored content or some sort of donation jar on their site. Let me make this clear: no one who runs a website for Disney or theme park fans as their job is living the life of champagne wishes and caviar dreams. So a few fairly successful (and well-followed) fan-based Instagrammers and YouTubers decided to join forces and create a “network” of content for a paid subscription service. The results of this announcement were polarizing to say the least. Either fans loved the idea to get exclusive content and a network of all-Disney, all-the-time with their favorite pseudo-celebs or they hate the fact that someone had the audacity to charge for content which has been traditionally free. Within hours, there was a ton of buzz around Disflix and days later came the official announcement the website officially shut down despite the fact that they already had customers buying subscriptions for $9.99 a month. 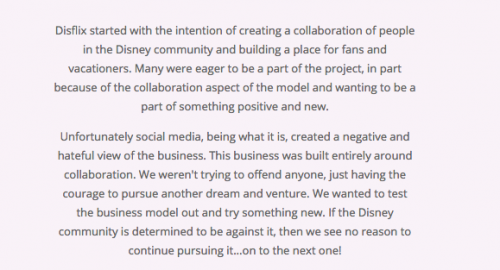 Disflix started with the intention of creating a collaboration of people in the Disney community and building a place for fans and vacationers. Many were eager to be a part of the project, in part because of the collaboration aspect of the model and wanting to be a part of something positive and new. Unfortunately social media, being what it is, created a negative and hateful view of the business. This business was built entirely around collaboration. We weren’t trying to offend anyone, just having the courage to pursue another dream and venture. We wanted to test the business model out and try something new. If the Disney community is determined to be against it, then we see no reason to continue pursuing it…on to the next one! I know what you’re thinking: your favorite YouTube star creates videos in theme parks (including Disney) and they receive ad revenue from those videos! That’s true. Those YouTubers also aren’t requiring payment to watch those videos. And as of right now, that’s the vital difference. In Disney’s eyes, collecting payment to watch someone walk through the park is no different than putting on a small performance in the gardens adjacent to Cinderella Castle and charging admission to see it. You’re using their park as a backdrop for your videos and directly charging for them and that is a no-no. Now we wait for the ripple effect. Which could be catastrophic… and possibly non-existent. Could the folks at Disney (or any theme park for that matter) decide that creating YouTube videos (or content of any kind) in the parks where the creator gets compensation from ad revenue, make it against park policy? It’s possible, but unlikely. Simply because by letting it go for this long, the content creators could create a case for past precedent. However my guess is unless they banded together, they wouldn’t be able to afford the legal fees to fight such a ruling in court. Perhaps what could happen is the stopping of filming and photography where it has been expressly forbidden either in writing, verbally or both. I have seen several YouTubers say, “I will film anything I can despite being told otherwise, it is how I feed my family.” Despite safety concerns and possible copyright issues… somehow the nobleness of feeding one’s children trumps those other factors? 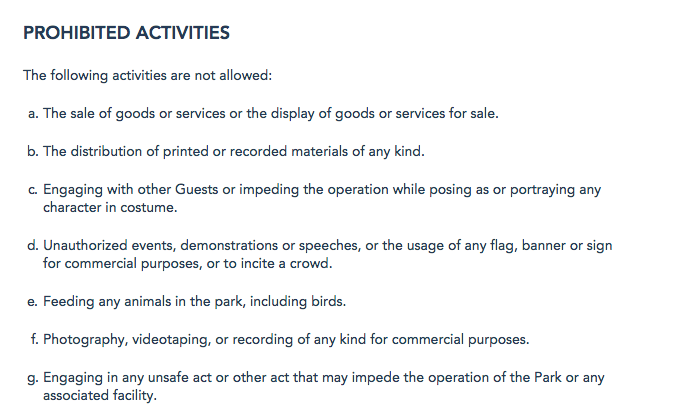 Not entirely sure, but is it possible that those with illegally obtained footage could also get the axe since the company has a heightened awareness of what is being filmed in the parks now. What is this footage and what stories am I talking about? I’ll save that for a future article. So what are your thoughts? Did you sign up for Disflix? Do you think it was a good idea? Was Disney too harsh and not letting them charge for content on their property? We are going to dig a little deeper into this, but for now… I’d like to hear what you think. This entry was posted in Disney and tagged Disflix, live stream, YouTubers. Bookmark the permalink. Trackbacks are closed, but you can post a comment.